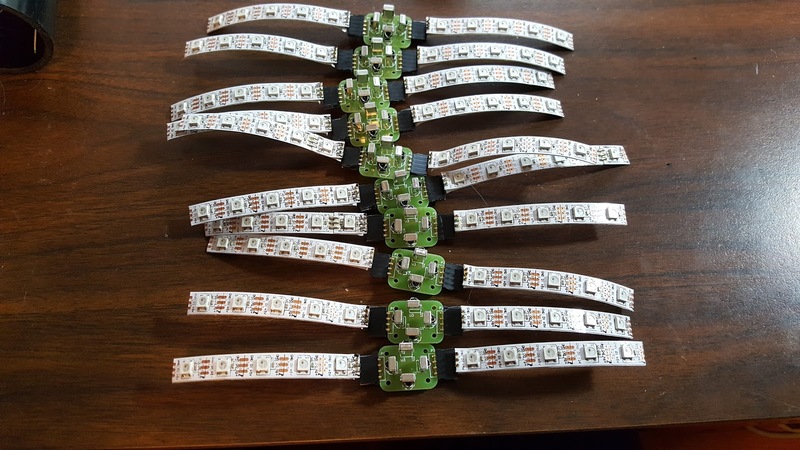 Ten sensors attached to light strips were made, enough for two sides of five taggers. 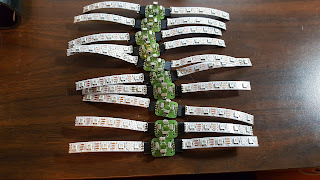 These arrays would light the taggers and provide an infrared sensor module on each side. This design was realized awhile ago when it seemed logical to use the power lines included with the LED light strips. Assembly started on a short piece of pipe which had been outfitted with a handle, this was going to be an experimental tagger since less was at risk. It didn't even have a foregrip. Unfortunately, the short length led to space issues because the trigger and control board wouldn't fit together. 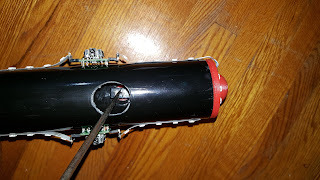 Parts from the short tagger were moved to a standard pipe but there were issues getting a trigger installed, it was very difficult to turn the switch from inside the pipe. 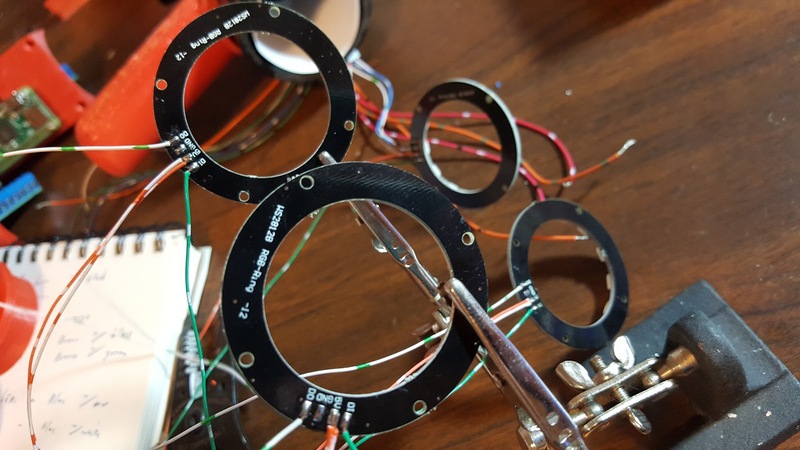 The solution for the tricky trigger was to design and print a wrench capable of turning the switch while it was inside the pipe. A little extra time was spent to make the wrench look nice, including grips on the side and a semi-domed top. Yes, it is very phallic. 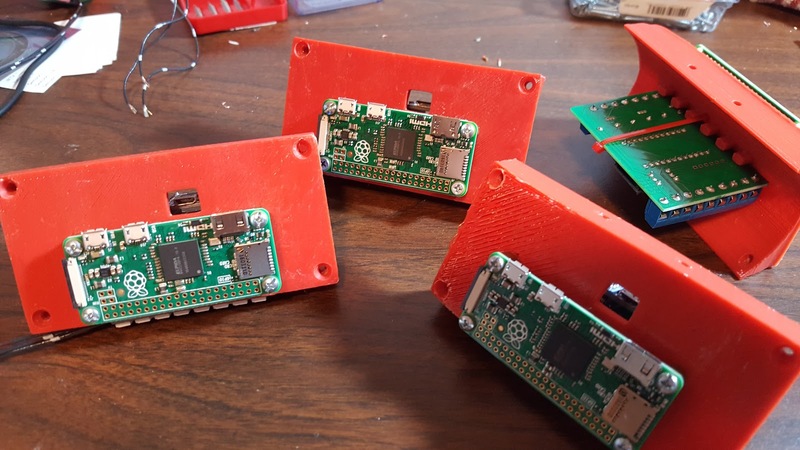 Four PCB holders were given boards. 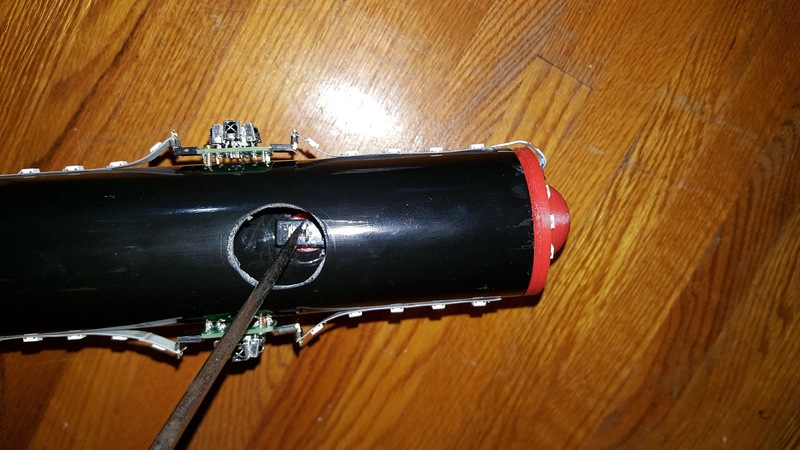 Arduino control boards were connected to the insides with zip ties and Raspberry Pi Zeros were attached to the outside with screws and standoffs. Light rings for the rear of the tagger had to be refitted with long wires. They were previously outfitted with short wires that weren't given a standard color code. This was a mistake on my part due to rushing the job. Naturally, this cost me time and materials to fix.